Vancouver is on everybody's lips these days as the 2010 Winter Olympics take place in the city. 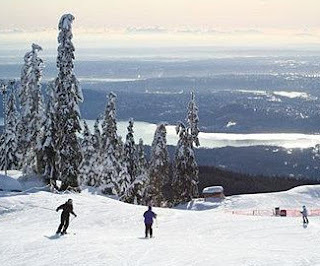 The city's most visited destination is Grouse Mountain ideal for skiing or snowboarding. The mountains has also a Refuge for Endangered Wildlife dedicated to preserve flora and fauna at risk. In the city, a retro double-decker will take you to the major attractions of Vancouver including: Chinatown, Stabley Park or Granville Island. If you like adventure, than Capilano Suspension Bridge is the place to be: a suspended bridge which allows you to cross to Treetop Adventure and admire the Douglas fir-trees from above. For a minute of meditation and relaxation it is worth visiting Dr. Sun Yat-Sen Classical Chinese Garden with cover walkways which provide shelter in any weather. Like any classical Chinese garden this garden is based on the harmony of the elements water, rock, plants and architecture. Do't worry if you can't be in Vancouver during the Olympics. The city welcomes you anytime and it will suprise you regardless the season and as a visitor you will award Vancouver a golden medal.